LED ring light kit for stereo microscopes. 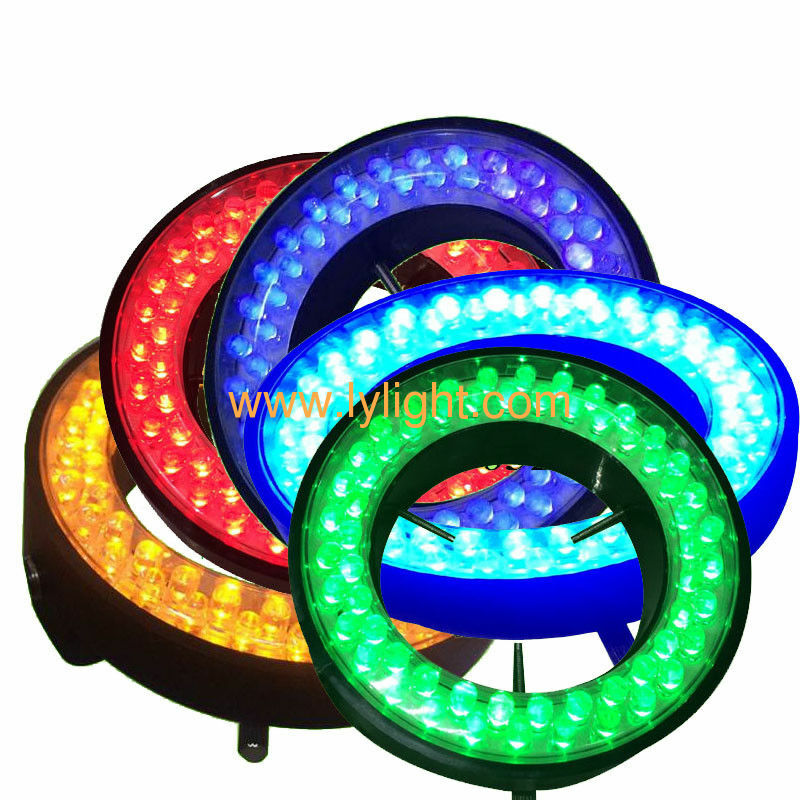 The LED brightness is adjustable, soft ,with no flicker and good consistency. This kit is equipped with three screws in the interface port to connect microscope objectives of different diameters. The available voltage of this kit is from AC85 to AC260V. It is an ideal durable cool light source for microscopes. 1, no stroboscopic: because LED lights for pure DC power supply, no stroboscopic, not easy to cause eye fatigue, nor to the working area other devices (such as oscilloscope) produce harmonic interference. 2, uniform illumination: LED shadowless lamp is 360 degrees in the uniform illumination of observed objects, no shadow, high definition. 3, long life: LED shadowless lamp because of low calorific value (no heat radiation), power consumption small (low voltage, low current start) the average life expectancy of more than 35000 hours, far greater than circular energy saving lamp 1500-2500 hours, life is more than ten times of that of an energy-saving lamps. 4, eliminate hidden dangers: most of the annular lamp operating voltage for AC 110V or 220V AC, using burnt by improper power supply and the lamp tube phenomenon not uncommon due to, led shadowless lamp use broadband 100 ~ 240V AC switching power supply. 5, safety and environmental protection: a ring fluorescent lamp than the shock resistance, impact resistance is not easy to break, waste recycling, no mercury pollution, is the real environmental protection products. 6, adjustable brightness: with special brightness controller (no need to purchase the other) operator can be freely adjusted according to their adaptability to the luminance brightness, so as to achieve the most ideal comfort, the eyes of work for a long time is not easy to produce fatigue.